Your spirit animal? The UNICORN, of course. 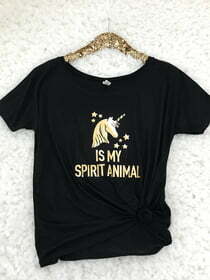 This tee lets everyone know you are downright magical. Wear to the bahcelorette party just because!